We live in a world where there’s so much to do and so little time to do it, whether we’re talking work, chores or leisure. 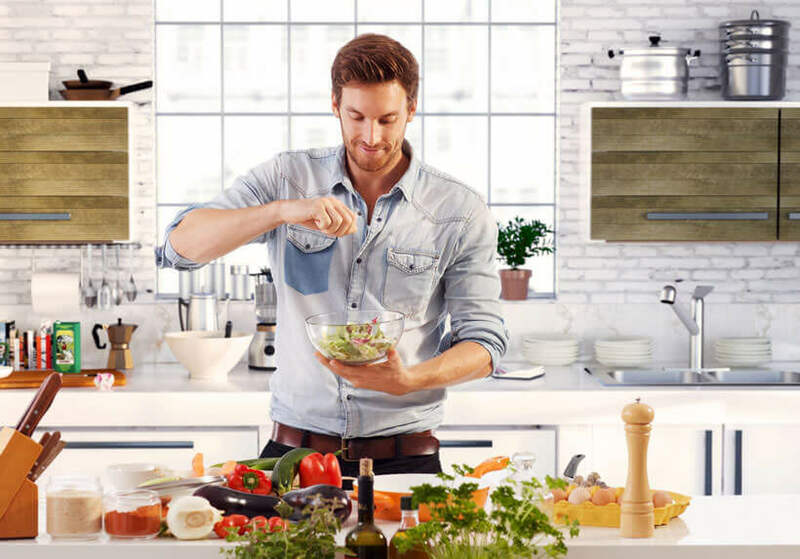 Meal delivery services base their business logic on this fact, promising to make your life a little bit easier, at least when it comes to cooking dinner. Having recipes and ingredients delivered to your doorstep may seem pointless when you can always order in or get takeout food, but meal delivery is so much more than that, and that’s why you should definitely consider giving it a try. When you subscribe for a meal delivery service, you don’t just get food. You get tasty, pre-planned, carefully balanced, nutritious and delicious meals that, but they don’t come steaming hot in a Styrofoam box ready for you to dig in. You still need to do some work – you need to actually cook the meal, following the instructions, and that’s what initially turns some people off. Why would I bother cooking when I can simply order a pizza? Well, because when you order a pizza you don’t get the pleasure of running the sticky dough through your fingers, of tossing that prime, super-fresh mozzarella and arranging artisanal pepperoni slices. Not to mention you don’t get to actually learn how to make pizza and, most importantly, you don’t get the pleasure of making something from scratch with your own two hands, in your own kitchen. The pleasure that comes from cooking a meal you never cooked before, following a crazy recipe that always turns out to be way more simple than it originally seemed, is priceless. Another thing that is priceless is your health. These meal delivery menus are always meticulously planned, balanced to the smallest detail and guaranteed to improve your eating habits and your overall health at least once a week. If eating healthy is something you have been struggling for a while (and we all know it’s not easy), meal delivery service might turn out to be immensely helpful. The meal delivery menus can be tailored to meet any of your dietary needs. If you are trying to lose some weight, or maybe gain some, if you have a food allergy or want to increase the intake of certain nutrients, all this can be done by simply customizing your weekly order with the help of the experts working for the meal delivery service. Another major benefit of meal delivery service is planning and grocery-shopping. Cooking might take 30 to 60 minutes (although with most of these services it’s more on the 30-minute side) but just remember how much time you spend in the supermarket, buying groceries? And on a work night, you may not always feel like spending an hour wandering the aisles looking for inspiration, then buying way more or way less stuff than you actually need, waiting in line to pay and then coming home completely exhausted and absolutely unmotivated to cook a nice, comforting meal. No wonder so many people eat takeout five out of seven days per week. Meal delivery service plans the meals for you, prepares the ingredients so you get exactly the amount you need for the recipe, and often even chops and dices the food for you to minimize your effort. The food is waiting for you at your doorstep, fresh, carefully packaged and protected, along with detailed, easy-to-follow recipes that often include visual instructions. Having just your groceries delivered is probably just as convenient in terms of time-saving, but that’s all it is. It doesn’t help you with actually coming up with meal ideas and recipes and doesn’t broaden your culinary horizons in any way.